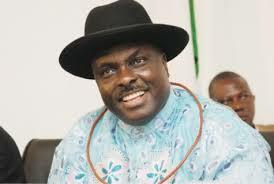 James Ibori, Former Governor of Delta State said he came back to Nigeria on his own volition and was not deported. According to PUNCH, a statement issued on behalf of Ibori by his Media Assistant, Mr Tony Eluemunor, read, “Ibori wishes to correct the impression created by some news reports that he was deported from the UK. Even though I had wanted to publicise my return to Nigeria so that wrong meanings would not be read into the public interest. “I knew what my presence in Nigeria would elicit, and also because I never wanted any crowd that would gather because of me to disturb a single Nigerian in the course of their duties, all my efforts to keep the trip secret failed.